Customize your walls with your brand or even use it for kids rooms! Wall graphics are more than just fancy stickers! Not only are they made with quality-grade 3M vinyl, but wall graphics help to give your office space an added pop of color and personalized touch far over a coat of paint ever could! Save money on wallpaper for larger scale wall graphics or invest in small-scale wall graphics for logos, imagery and lettering. 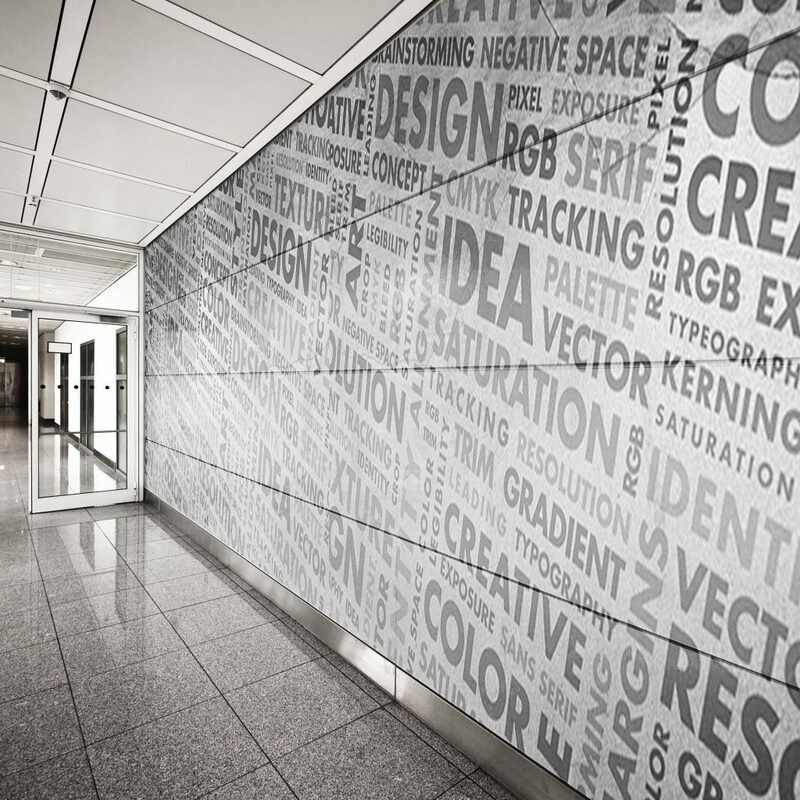 Enhance the appearance of your business from the inside out with personalized wall graphics that create a unique experience for your customers. Worried about the durability of your wall graphic over time? The beauty of wall decals is the ability to recycle and reuse graphics – simply peel off and stick it back on!